Whether you love the sound of sleigh bells and the taste of falling snow slowly melting on your tongue, or if you are more a bah, humbug type about Christmas, it is good to have a festive read over the festive season. And in this special ‘who writes like…’ promotion we have selected authors that will fit in with both sides of the Christmas season. So sit back, break open the mince pies, throw another yuletide log on the fire and luxuriate into a fantastic book. Who writes like Ben Aaronovitch? Douglas Adams, Jim Butcher, Benedict Jacka, Richard Kadrey, Seanan McGuire. Who writes like David Baldacci? Tom Clancy, Vince Flynn, Brad Meltzer, James Patterson, Stuart Woods. Look to windward / Iain M. Banks. Who writes like Iain M. Banks? Neal Asher, Peter F. Hamilton, Richard K. Morgan, Alastair Reynolds, Vernor Vinge. Death of a dreamer: a Hamish McBeth mystery / M.C. Beaton. Who writes like M.C. Beaton? Lilian Jackson Braun, Chris Cavender, Mary Daheim, Carole Nelson Douglas, Monica Ferris. Heir to the shadows / Anne Bishop. Who writes like Anne Bishop? Jacqueline Carey, Gail Carriger, Kate Forsyth, Laurell K. Hamilton, J.R. Ward. 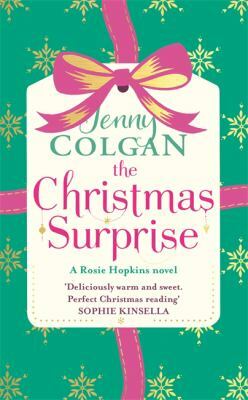 The Christmas surprise / Jenny Colgan. Who writes like Jenny Colgan? Abby Clements, Debbie Macomber, Milly Johnson, Susan Mallery, Anne Perry. Who writes like A.J. Finn? Megan Abbott, Paula Hawkins, Gillian Flynn. Daughter of the forest / Juliet Marillier. Who writes like Juliet Marillier? Marion Zimmer Bradley, Robin Hobb, Russell Kirkpatrick, Elizabeth Knox, Helen Lowe. Who writes like Jenny Pattrick? Catherine Cookson, Rosamunde Pilcher, Adriana Trigiani, Mary Wesley, Winston Graham. Jitterbug perfume / Tom Robbins. Who writes like Tom Robbins? Paul Auster, Kurt Vonnegut, Jonathan Letham, David Sedaris, Haruki Murakami. Who writes like Nora Roberts? Susan Mallery, Julie Garwood, Sandra Brown, Lisa Kleypas, Elizabeth Lowell. A spool of blue thread: a novel / Anne Tyler. Who writes like Anne Tyler? Annie Proulx, Sally Rooney, Ali Smith, Zadie Smith, Donna Tartt.